The IATA Annual General Meeting always takes place the first week in June. IATA is a ‘club’ of airlines but not all are involved, with most of the low-cost carriers fiercely independent. IATA is not to be muddled up with ICAO (the International Civil Aviation Organisation), a constituent (and non-commercial) agency of the United Nations, which sets the rules for flying and is in effect the safety monitor for air travel. 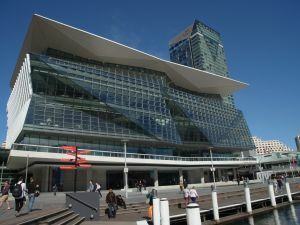 For the IATA gathering, the new (December 2016) Sydney International Conference Centre on Darling Harbour is the venue. More anon. Let’s talk about Sydney, Australia’s largest city. At the time of writing the Australian dollar was at $0.76, £0.57, €0.65. Some participants to IATA’s annual gathering will have arrived early and some are staying on. If you are a delegate, BTN expects that when in Sydney you will want to do some sightseeing. Assuming you came in by aeroplane, it was to Botany Bay, more or less the same area that Captain Cook landed in April 1770. Today Sydney, named after the home secretary of the time and with a population of 5m, is the capital of New South Wales. It is a thriving metropolis and hosted the 2000 Olympics where Cathay Freeman not only lit the Olympic flame but won an emotional 400 metres. Darling Harbour, once the commercial port of Sydney, in effect hosts the conference. Ships, if they are not too big, need to go under the famous Harbour Bridge to reach this area. Walking tours across the arch of the bridge, nicknamed ‘the coathanger’, have been available for those who can stand heights since 1998 and cost from AU$263. To date, nearly 4m have experienced one of the world’s great walks. A more sedate and free alternative is to stroll across at road level. Within walking distance of Darling Harbour is The Rocks, a trendy area with a street market leading down to Circular Quay, where the Sydney Harbour ferries look after commuters and tourists. The multitude of bars and restaurants by the waterside, extends all the way past King Street Wharf and Barangaroo to the lively venues under the Opera House. Find time in Sydney to take some kind of harbour boat ride around one of the world’s most scenic city entrances, past expensive real estate, with the commuter service to Manly extremely good value. On the north shore of the harbour is Taronga Zoo, where animals and visitors are blessed with spectacular views of the city. 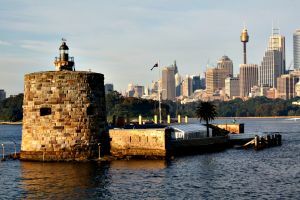 Fort Denison, part of Sydney Harbour National Park, is a former penal site and defensive facility occupying a small island northeast of the Royal Botanic Gardens. There are tours from Circular Quay and the fort is a quiet place to reflect on how Sydney has grown. Sadly, its once-popular restaurant no longer functions. The Sydney Opera House is open for tours every day and from 3-5 June in the Utzon Room the Alaska Orchestra will perform Music for Airports, written by Brian Eno. We can’t tell you much more, but the view is very good with floor-to-ceiling windows looking into the harbour. If you have not seen The Book of Mormon and can get a ticket, it is on at the Sydney Lyric Theatre. There are two open top hop-on hop-off bus routes, the City Tour running past the Conference Centre, under the bridge and by the Royal Australian Navy dockyard, and the Bondi Tour. This also includes Rose Bay, where the Imperial Airways-Qantas operation was once based, and is now the home of the Sydney Seaplanes Empire Lounge with a splendid small museum telling the history of the London – Sydney route from an earlier era. When you have a country founded by the British, followed by Europeans and now with a distinctly South East Asia flavour, the culinary aspects have to be beyond reproach. A visit to the Sydney Tower Buffet takes it all in. It is informal-style dining with 360deg revolving views of the city below, so no matter where you sit, the sight of Sydney is breath-taking. The restaurant is open for lunch and dinner for you to admire the city by day and see the city lights by night while choosing from more than 60 dishes, including Vietnamese, Australian, Italian and Japanese cuisine. The buffet also offers a large selection of fresh local seafood. For those not wanting to eat there, the Sydney Tower offers a separate observation deck. 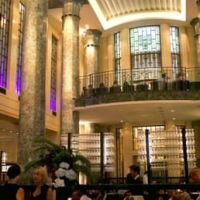 Another highly-recommended eating place (Sydney is not short of them) is the Rockpool Bar and Grill in the 1936 art deco City Mutual Building. The restaurant is a flat one-mile stroll from the Conference Centre across the historical pedestrian Pyrmont Bridge with fine views. Popular with locals and visitors alike, the Rockpool is a foodie’s dream. The menu features dishes based on an ever-evolving selection of quality local produce, matched with an award-winning wine list of more than 3,000 wines. Guests can enjoy wood-fired grilled meats dry-aged on site and free from growth hormones and antibiotics. For a more casual meal, drinks and small plates are available at the bar and include a Spanish-influenced potato and chorizo egg tortilla with aioli or clams steamed with Serrano ham and beans. 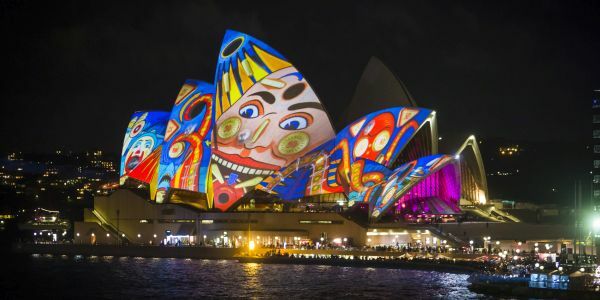 IATA is particularly fortunate in that the conference coincides with Vivid Sydney 2018, which starts on 25 May and is billed as Australia’s largest event The “Lighting of the Sails” at the Opera House marks the festival’s 10th anniversary and the start of spectacular light art, cutting-edge music and innovative ideas line-up. For the anniversary, celebrated artist Jonathan Zawada is creating a light projections artwork expected to transform the Opera House into dynamic digital sculptures inspired by the Australian environment. Other highlights include a powerful laser beacon illuminating the harbour from on top of the Sydney Harbour Bridge, the old Customs House as a venue and the many light sculptures that stretch for more than 2km around the harbour foreshore. Ice Cube, an American rapper, will make his Sydney Opera House debut at Vivid Music 2018. Live bands will be performing, including some of the best Australian and international acts, at iconic venues and intimate bars and clubs around the city. Vivid LIVE at the Opera House also features Solange, Mazzy Star, Dreams, Daniel Johns & Luke Steele and Cat Power. Carriageworks will feature Grammy Award-winner St Vincent, Curve Ball & Clipped. Besides the latest trendy artists, world-famous directors and designers are participating including film director James Cameron, famous for Titanic, who will also dive deep into his scientific and artistic enterprise including his science-fiction epic Avatar (2009), which was in particular a landmark for 3D technology. Vivid Sydney is active at the Royal Botanic Garden, The Rocks, Barangaroo and Darling Harbour, along with the city’s Kings Cross, Chatswood and Taronga Zoo. For most, Sydney is a long way to go. Either travel early, or stay on after the conference. There is a lot to see and do. 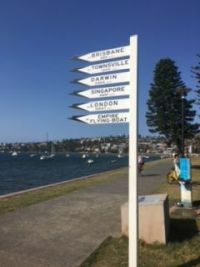 This article concludes a recent visit by BTN editor-in-chief Malcolm Ginsberg to Australia and a cruise up the east coast to Indonesia and Singapore.